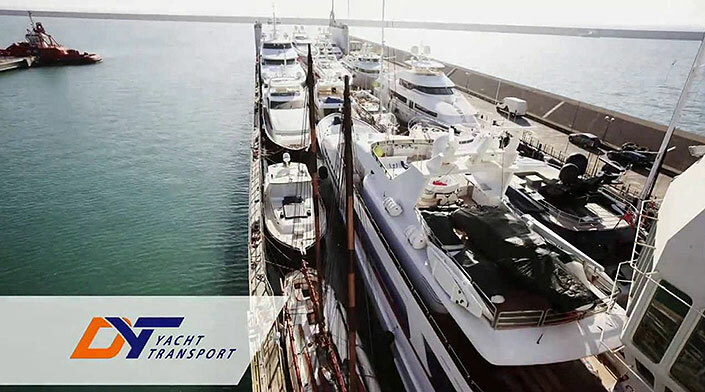 The decision is made to transport a yacht across the vast expanse of the world’s oceans, and Sevenstar / DYT Yacht Transport is entrusted to provide that service. Great peace of mind comes with Sevenstar / DYT’s expert service because the Owner knows that the yacht is protected by the Voyage Insurance Programme. In partnership with their insurance broker, Nausch, Hogan & Murray, Sevenstar / DYT Yacht Transport’s Voyage Insurance Programme has protected thousands of “yachts as cargo” for nearly twenty years. Whether the yachts are small catamarans or corporate mega-yachts in excess of USD 50,000,000 in value, whether they are shipped by Float On / Float Off or Lift On / Lift Off service, each is protected during the voyage under broad All Risk cargo insuring terms by first class insurers, most of whom have participated on the Programme for many years. The Voyage Insurance Programme also includes marine liability coverage which protects the Yacht Owners and Riding Crew for the “Protection and Indemnity” exposures faced when transporting yachts as cargo aboard the Sevenstar / DYT vessel. Should loss or damage occur during the voyage, Nausch, Hogan & Murray’s expert claims department is there to assist the Yacht Owner to process their claim quickly and fairly.